Sometimes parenting is just hard. I have been in a bit of a mom rut for awhile and somedays I feel like things are spinning out of control. I've gone through periods where I've really felt on top of my game and the kids are cooperating and happy and our house is organized and life is calm and everyone is sleeping at night and there aren't huge tantrums or break downs of anxiety, etc... and then there are periods where things are just out of control, chaotic, and terrible and I am constantly living in survival mode... and sometimes I am angry too. A few weeks ago I really thought I was going to lose my mind... and I definitely lost my temper with the kids far too much. There was too much yelling, fighting, and crying in our house and sometimes I just wanted to lock myself in another room and have a fairy godmother or the "real mom" arrive to take charge. Other days when I wasn't feeling overwhelmed or exhausted I was feeling very judgemental of myself. You know those days when that mean little voice in your head is constantly being critical of everything you do? Mine stuck with me for weeks and was really a downer. After a few weeks of the madness I sat down one day in the early hours of the morning (2am is when I get my most energy) and I made a list of the things that make me feel sane and happy. I also collected some resources on parenting in survival mode from some of my favorite people and I read through all of them. At the end of the night I hung this quote on my wall as a reminder that every day I have a choice regarding how I feel. The last of the human freedom is to choose one's attitude in any given set of circumstance. I reminded myself that no person or circumstance can make me feel a particular way. I am in control of my emotions... and I need to take the control back and not let other people or situations affect me. This one is critical for me... yet for some reason it is always last on my list some days. I know for a fact that I am evil when I don't work out... so lately I've been trying to prioritize it. Sometimes I even get the kids to do it along with me. The BeFit YouTube channel has been my salvation late at night. My husband and I also started doing P90X together in the evenings. On the days we fit the workouts in I felt much more like myself. When I'm not feeling good about myself I prefer to hole up and avoid people. A few weeks ago I made a point of scheduling weekly walking dates or park playdates with specific close friends who always make me feel good and inspire me. I went home afterwards feeling so much better. With preschool and first grade crazy schedules this year plus toddler nap time and then other scheduled activities sometimes I feel like we never do anything that is purely fun! Lately we've been trying to go on a weekly outing together after school and it has been seriously so awesome. Usually we go and find a brand-new-to-us playground or we go and grab a snack at a favorite place or we go hiking. Being together with no set plan is fabulous. My mood always gets cheered up on our adventures and I try and keep technology off so that I am completely focused on my little ones! Our 100 Acts of Kindness challenge was huge in lifting my spirits last month. My favorite part was doing daily simple acts of kindness for my kids. As I did kind things for them I felt extra love towards them and I felt so happy. Working together on challenges like that also are a great way of unifying a family, so I felt like our family became a lot closer and kinder. Hopefully we can keep that feeling! When I am in a really bad or sad mood, pulling everything out of cupboards or drawers and organizing them is really cathartic. Hard work and physically using my body to move things and work on things is calming for me and is also rejuvenating. I also love to get the kids involved with the organizing or cleaning. We turn on music and jam to favorite songs and everyone feels better. I am a spiritual person and when I neglect core components of my spirituality, especially prayer, things just go down hill. Placing my spirituality at a higher level and prioritizing it has been a huge help to me. Adding simple routine activities into my day to boost my spirituality (like watching an inspirational YouTube video or listening to a song) also helps. There are a lot of ways to get help when you are struggling. I typically reach out to my sister or my friends to just chat. Some people benefit from a therapist who is a more neutral private party when they need to talk. Sometimes you just need help in the way of babysitting or time alone. I am learning to be more vocal when I need help instead of letting it all get pent up inside and then explode. 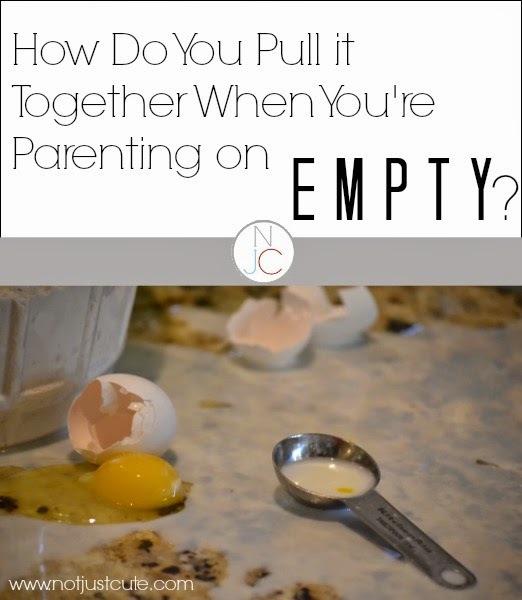 When I was overtired with little ones and getting way too little sleep my husband and I worked together to find one day a week where I could get a long nap or sleep in later and it made all the difference. I also love to get help from friends online and parenting groups that I am part of. My favorite place to discuss ideas is in my private Positive Parenting Facebook group. 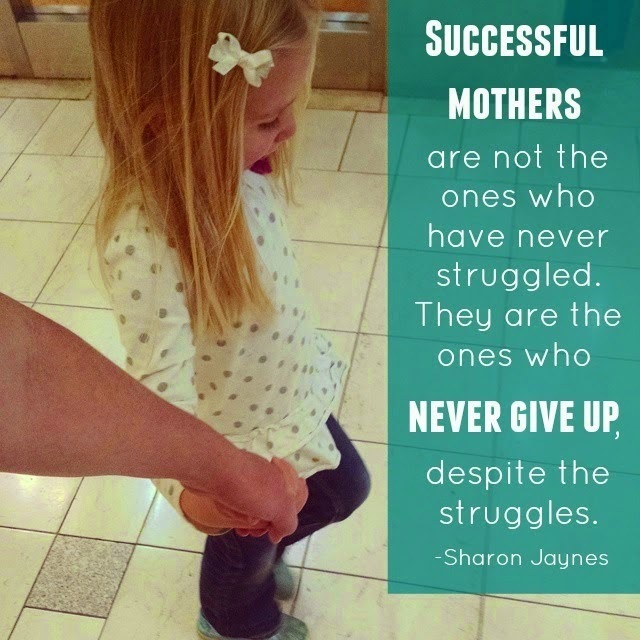 The moms are all kind, supportive, and non-judgemental... which is what you need when you are having a bad week. I can't believe I didn't mention chocolate yet... but it is my first stop when I am feeling down or stressed... which maybe isn't the best move... but it at least helps a little. :) I also like to give away chocolate when I am feeling upset or sad. I remember during a particularly bad year of college I designated the 23rd of every month for cookie making and delivering! I would deliver maybe 20 plates of cookies to different friends or neighbors on the 23rd of each month. Seeing smiles and gratitude was enough to buoy me up and turn any bad days into good ones. 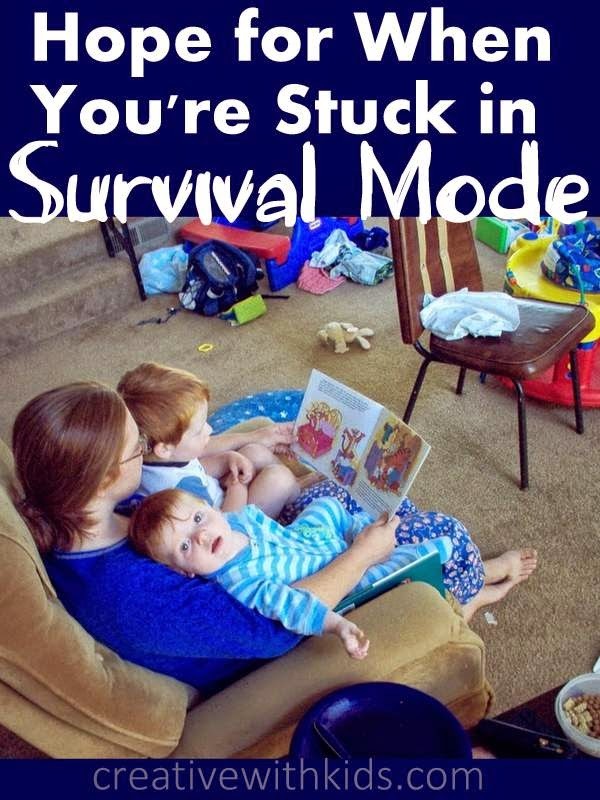 Have you ever been in survival mom or a mom rut? How did you snap yourself out of it? Any strategies you can share with me? Change your surroundings. Spend a day in the yard, at the state park, or at the zoo. Turn the big bedroom into a campground - right down to pretend campfire cooking and sleeping on the floor in sleeping bags. Sometimes a day off is all you need. Yes! Changing your surroundings helps soooo much. Sometimes our emotional state connects with our physical state. When we can leave one, the other will usually follow. 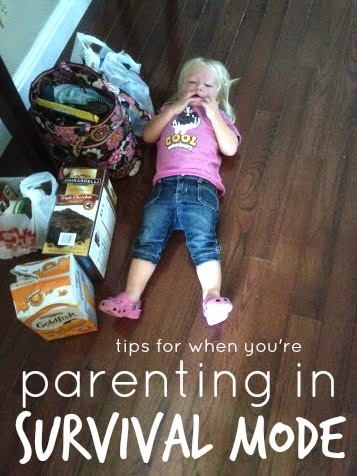 Effective parenting skills are really beneficial for our kids. Therefore, we should take preventive steps to improve our parenting skills. With the help of effective parenting skills, we are able to provide a better learning environment to our kids, under which they are able to improve our behavior and positive thoughts.